If you sold your biotech stock based on the Fed chair’s assessment of the market in July, you’d be sorry now. 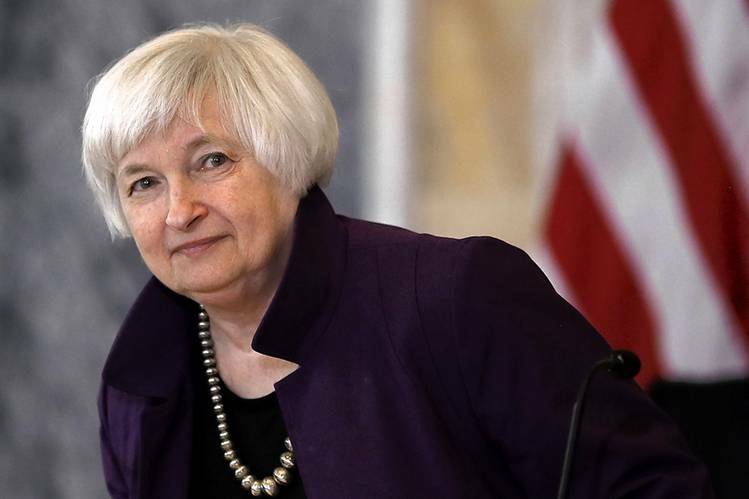 At a recent International Monetary Fund event in Washington, D.C., Federal Reserve Chair Janet Yellen opined about the “potential dangers” posed by “quite high” stock market valuations. This was not her first market prognostication. In July 2014 she singled out biotech and social-media stocks as having “substantially stretched” valuations. Such comments are ill considered and are more likely to do harm than good. Nor has the Fed distinguished itself when opining on market valuations. In December 1996, then-Chairman Alan Greenspan famously questioned whether stock prices exhibited “irrational exuberance.” The market rallied sharply into early 2000, and anyone buying equities after Mr. Greenspan’s speech would have received generous long-run returns even after the market declines after the bursting of the dot-com bubble of 2000 and the housing bubble of 2007. An investor who put $10,000 into an S&P 500 stock index fund immediately after the “irrational exuberance” remark and held on while reinvesting dividends would have almost $40,000 today. Since July, when Ms. Yellen suggested that biotech stocks had “stretched” valuations, the iShares Nasdaq Biotechnology exchange-traded fund has rallied about 40%. It wasn’t simply speculators who caused the price increase. Sophisticated companies purchased biotech companies at extremely generous premiums over their market prices. Shortly after Ms. Yellen’s remarks, Roche Holding purchased the biotech company InterMune at a 38% premium over market price. Earlier this year the pharmaceutical company AbbVie purchased Pharmacyclics at a 39% premium, and Alexion bought Synageva BioPharma at a more than 100% premium. At some point biotech stocks will endure a “correction,” but neither the Fed nor professional investors know when or how severe it will be. Ms. Yellen and Fed officials should understand that their utterances will be interpreted as investment advice. If small investors are induced to sell their stocks, they might put their money in bonds (where a total bond market exchange-traded fund yields less than 2.5%) or hold very short-term securities, which yield nothing. In a country where many people have put aside far too little in savings to provide for a comfortable retirement, any pronouncement that influences savers to choose low- or zero-yielding investments for their IRAs or 401(k) plans is not likely to be good investment advice. If interest rates do normalize, bond investors will suffer substantial capital losses. Indeed, the suggestion that one can tell if stocks are too high or low could induce people to think that it is possible to time the market. We know that investors generally move money in and out of the stock market at exactly the wrong times. For the Fed to appear to encourage this kind of behavior is a very bad idea. But shouldn’t monetary authorities worry about the possibility of excessive asset prices? Wasn’t it a housing bubble that led to the financial crisis of 2007-08 and the following world-wide recession? Weren’t the imbalances in the economy revealed during the crisis responsible for the sluggish world-wide recovery? The answers are yes, but the problem was not the asset-price bubble per se, but rather the enormous increase in debt among individuals and financial institutions that accompanied the rise in real-estate prices. Asset-price bubbles (even if they can be identified in advance) have the most serious economic effects if they are accompanied by excessive borrowing. It is important to distinguish between asset-price bubbles that are financed by debt and those that inflate without a major increase in indebtedness. The bursting of the dom-com bubble in early 2000 ushered in a period of poor macroeconomic performance. But the recession that followed was moderate and relatively brief because the high stock prices hadn’t been fueled by excessive debt. The bursting of the real-estate bubble in 2007 had far more serious consequences. Because the balance sheets of both individuals and financial institutions had become overleveraged, consumer spending dropped along with the ability and willingness of financial institutions to lend. What followed came to be known as the Great Recession. An overleveraged economy is a legitimate concern of the Federal Reserve, and public statements about the dangers of debt are entirely appropriate. If the Fed believes that reckless bank lending to finance leveraged takeovers is occurring, they should sound an alarm. If they believe that stock-market speculation on margin has fueled an unsustainable rise in stock prices, they have the power to raise margin requirements. But gratuitous statements about equity valuations do nothing to achieve the Fed’s goals of sound financial markets and steady economic growth. Mr. Malkiel, chief investment officer of Wealthfront, is the author of “A Random Walk Down Wall Street” (W.W. Norton), now in its 11th edition.